Mr. Kenny Polcari is the Chief Financial Officer of Integral Board Group and a member of the Board. He is also a member of the New York Stock Exchange as well as a Managing Director at O’Neil Securities, Inc. representing the interests of institutional asset managers needing access to global equity markets. His position on the floor of the exchange gives him and his clients a unique view of the daily market action. 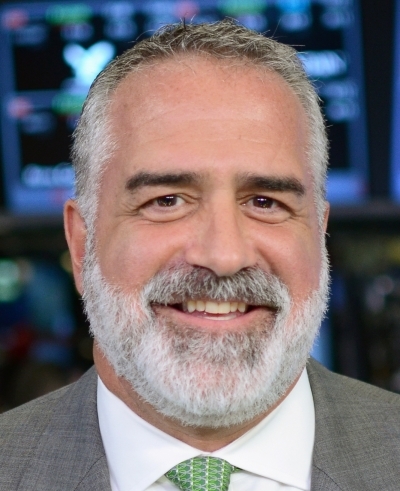 Mr. Polcari is a veteran equities trader, a CNBC exclusive contributor / market commentator appearing across a range of CNBC Global programming, an engaging speaker and champion of the U.S. capital markets and can be found working with the financial media, industry conferences and investor events helping public audiences understand the markets. In addition to CNBC - media highlights have included Bloomberg, CNN (domestic and international), ABC, Fox, Reuters, AP, BBC, WSJ, Financial Times, Yahoo Finance. Additional international credits include Der Spiegal, China Business and RAI. He is well known for his daily boots-on-the-ground market analysis. Every morning, Mr. Polcari publishes a large-audience newsletter starting with insights on the day’s market action and ends with a recipe to serve the mood of the markets. Earlier in his career, he served as Managing Director at ICAP Corps, LLC and was Senior Vice President, member New York Stock Exchange and division manager with Salomon Brothers directing their NYSE Division. Mr. Polcari graduated from Boston University School of Management with a BS/BA degree with a concentration in Finance. He is a frequent lecturer on topics such as the Evolution of the U.S. Equity Markets & the Role of Technology, Rules And Regulations, Policy Initiatives as well as The Impact of 9/11 on the U.S. Financial Markets.